My hero died yesterday. I think when most people think of their hero or role model they think of a sports star or perhaps a courageous military figure. 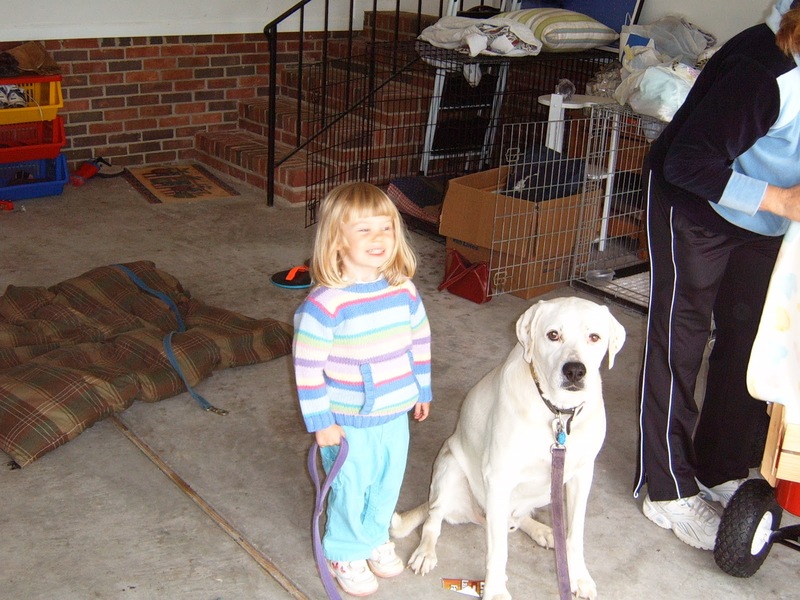 My hero was (still is) a dog. A brilliant white German Shepherd named Schatzie. 1991 was a great year for me. Back at Ft Bragg from Iraq I rekindled a flame with a high school love. She is Tricia Davis and with her discovered the world of search and rescue dogs (SAR DOGS). Trish and I married and moved to Ft. Benning Georgia in 1992. A year later my brother Tim presented me baby Schatzie as a Christmas gift. My still growing fascination for search and rescue received a serendipitous discovery. 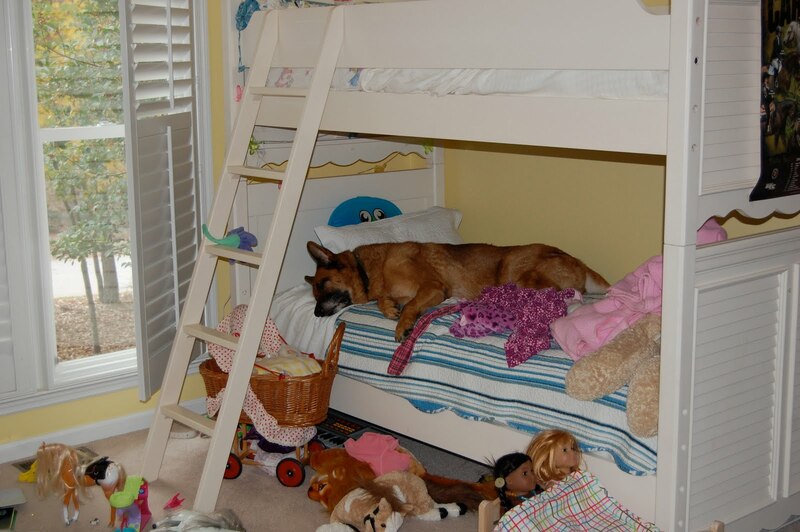 A SAR Dog team leader, Sandy Crain, was living where we would soon call home near Ft. Benning. 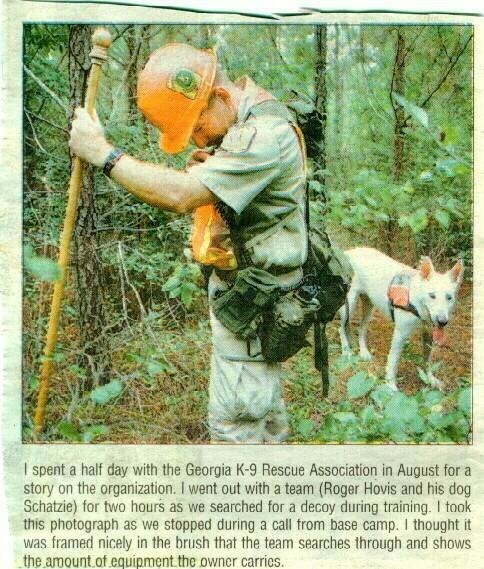 Sandy was the leader of Georgia K-9 a renowned SAR Dog unit with working ties to the FBI, Georgia Bureau of Investigation (GBI) and others in need of search dogs. We asked Sandy for a chance to join the team, passed the requisite screening and started our life as a SAR dog team. We worked countless hours learning the intense profession. Days turned into years and Schatzie became a proficient SAR Dog. To enhance my value to the SAR team I enrolled in the Georgia EMT-I program. While in this program I learned about Emergency Management and preparedness. Why my hero? I am writing this from Atlanta, here attending the 2010 US Public Health Preparedness Summit as the Director of a regional emergency preparedness office based in Columbia SC, a significant and vital public office. I would not be writing this tribute if not for the chance destiny resulting from my human-canine interface with Schatzie. The result of this human/canine relationship is who I am today. A hero can be that being that leads you down a righteous path you did not expect. Schatzie and I walked many miles of paths over all types of terrain. This path presented me the opportunity to realize my professional goal. When our daughter Delaney was born in 2002 search and rescue became a minor interest in my life. Yes Schatzie was still a geared up dog with many years left but we choose to retire from search and rescue. She lived out her many remaining years surrounded by the family she loved and by me the person who found his way through her. I miss her of course but I know a tireless four legged white angel is always waiting and ready. “10-41,” Roger Hovis says into his radio, indicating he’s beginning his search. This time it’s practice, but Hovis, an Air Force sergeant assigned to the Army Rangers, performs real searches with the Georgia K-9 Rescue Association Inc., a Columbus-based volunteer unit. Hovis and his dog are among eight pairs of dogs and owners in the Columbus area who have met national standards to perform searches. “There’s no better thrill than a real rescue,” said Rod Gilchrist of Albany, working recently with his dog “Blue” in a wooded area of Chattahoochee County, near Cusseta. The dogs seem to share their handlers’ passion. “King would die trying to find somebody,” said Columbus firefighter and team member Scott Boatner, recalling the day his German shepherd was bitten by a snake during a search. “I don’t look at my dog as just a dog,” Boatner said. The dogs sometimes act like humans. Once, when King and Boatner found the body of a dead person, King refused to take his customary treat and wouldn’t play with his favorite toy. “He just laid with his head in my lap all the way home,” Boatner said. On a hot August training day recently, starting at 8 a.m., team members gathered for their search and discussed a recent mission before they began their exercises. Days earlier, two members of the rescue group had been to Lake Martin in Tallapoosa County to help Alabama Marine Police search for two drowning victims. The victims were not found while they were there. Last month, team members traveled to Randolph County, Georgia, where they found an 86-year-old woman with Alzheimer’s disease who had wandered away from home. 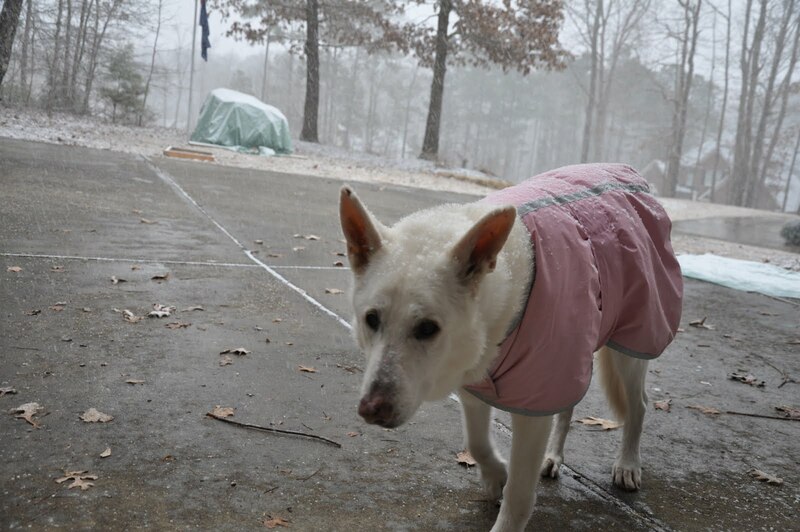 It was the fourth Alzheimer’s sufferer Georgia K-9 had found this year. When the training begins, Roger Hovis and his white German shepherd, “Schatzie,” are dropped off and told to search 200 meters into a heavily wooded area for a volunteer decoy. Hovis checks his map and tosses baby powder into the air to determine the wind direction. “Find ’em. Find the person,” Hovis tells Schatzie, and she takes off, sniffing the air. Handlers and dogs work a designated area, going back and forth in a zig-zag pattern. Humans give off a scent, which is carried by air or water currents. After searching the air for the “scent cone,” the dog moves in to the source. When he makes the find, the dog returns to his handler and leads him back to the victim. “No, leave it!” Hovis shouts, when Schatzie takes off after a rabbit. The dog returns, and the search continues. Dogs have long been used to help humans with more than just searching. They’re also used to help people with disabilities, ranging from blindness to mental illness. Law enforcement agencies use dogs to detect drugs, bombs, evidence of flammable liquids at fire scenes, money and criminal suspects — as well as victims. There’s even a “beagle brigade” in Florida to keep insect-infected agricultural products from being brought illegally into the country. There are different techniques to train dogs to search. Columbus volunteers use a method called air-scenting. While bloodhounds use a scent article to track a particular person, air-scenting dogs are trained to follow human scent through the air to its strongest point. In order to follow the dogs, a handler must be able to use a compass, read a topographical map, detect wind direction, provide first aid, and travel rough terrain or ride in a boat for at least three eight-hour days in all light and weather conditions. Researchers worldwide — and as near as Auburn University — have studied how dogs detect different scents. 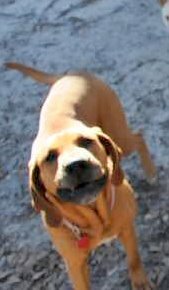 An Auburn University group called the Institute for Biological Detection Systems, conducts research into how dogs detect various chemical elements, how they distinguish them from one another and how they retain that ability. Scientists don’t completely understand how dogs can discriminate a human scent from other background odors, said Larry Myers, an associate professor of physiology at Auburn and a national authority on dogs’ behavior and sensory abilities. Dogs primarily rely on smell, but they also have acute vision and hearing, Myers said. “Basically, dogs are lazy, just like people. They’ll select the easiest way to get the job done,” he said. Dogs can also apparently discriminate between grades of odor so they can identify where the odor is strongest, Myers said. While Myers encourages wide use of dogs for detecting human and other scents, he stresses that ongoing training is key. Using untrained dogs or letting their training lapse is counterproductive, he said. “They (volunteer groups) are probably under-utilized,” Myers said. “Once there has been a reasonable assessment that a major search is under way, they need to be called and consulted, at least,” said Myers. Volunteers provide their own dogs and gear and pay their own expenses during search operations. Sometimes law enforcement agencies provide mileage reimbursement. There are more than 200 known Search and Rescue Dog organizations in the United States, according to the National Association For Search and Rescue Inc., which sets standards for dogs and handlers. The Columbus-based unit was founded in 1985 and is a member of the National Association for Search and Rescue and the Georgia Regional Search and Rescue Team. The unit usually responds to calls throughout Georgia, Alabama, Florida and the Carolinas, but longtime member June Vigrass and two other members assisted with a search on a remote Costa Rican island, where they were brought in by military helicopter. The search was for an American “adventure” tourist who apparently got lost mountain climbing, Vigrass said. To her knowledge, the woman was never found. Her 9-year-old dog, “Caleb,” has participated in more than 100 searches, but he made his first live rescue this year, said Vigrass, who is also a paramedic for Marion County. Like Vigrass and Boatner, many volunteers have jobs related to search and rescue work. Unit members include retired military personnel (Joe Lambert, Wesley Basey), an investigator with the Randolph County Sheriff’s Office (Hoyt Lumpkin) and an assistant Emergency Medical Services chief (Robert Futrell). But other members come from all trades and walks of life. Its president and longtime member Sandy Crain is a Chattahoochee County elementary art teacher. Others are in business, like Cason Callaway III, Curtis Flatt of Masback, Kathy Terry of Oneida, Brigitte Basey of GNB Batteries, and Kim Moulton, a communications student. Dogs are obedience-trained. The dog and handler must understand each other’s commands and signals. 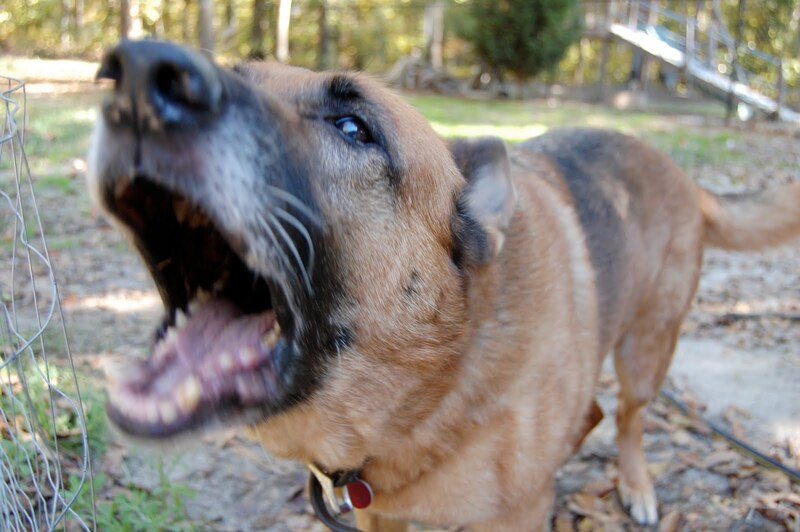 When the dog finds a person, he returns and “alerts” the handler by speaking (barking) or another sign. In a water search, the dog dips his head into the water or scratches the boat bottom to signal a human scent. Although unit members love finding people, they also help law enforcement investigators by searching and ruling out an area. If they can say where the person is not, they’ve helped. Crain, the president and training officer, is a charter member. Members draw on her 13 years experience and that of other longtime handlers. Hovis, who travels extensively with his job, missed several practices with Schatzie and says that contributed to her taking almost two hours to find her decoy and becoming distracted. But, she found team member Kathy Terry and was rewarded. “10-42,” Hovis said into his radio, indicating his search had ended. Skillful trainers teach dogs to sniff out narcotics — marijuana, cocaine, heroin, methamphetamines, LSD — termites, gypsy moths, mold in lumberyards, chemicals like gasoline used to start fires, guns, explosives, contraband food, snakes, money being smuggled out of the United States in quantities exceeding the $10,000 limit, cows going into estrus and leaks in underground gas pipelines. The average dog has 220 million scent receptors, compared with our 5 million. Debates rage over what a dog smells when it tracks a person, with the most accepted current hypothesis being “skin rafts,” tiny particles of bacteria-laden dead skin that are constantly shed. The Georgia K-9 Rescue Association Inc., is a Columbus-based nonprofit volunteer organization that helps find people who are lost, injured or victims of drowning or disaster. To make a tax-deductible donation, or for more information, call Sandra Crain at 989-3464 or June Vigrass at (912) 649-7613, or write Box 3409, Columbus, Ga., 31903-0409. Volunteer handlers and decoys are needed. The American Rescue Dog Association, the nation’s oldest air-scenting search dog organization, publishes, “Search and Rescue Dogs, Training Methods (Howell Book House, 1991); you can write them at The American Rescue Dog Association, Box 151, Chester, N.Y. I mowed the back yard today, but this usually mundane chore was very different, it was the first time in almost 18 years I did not have a German Shepherd or two following behind me. 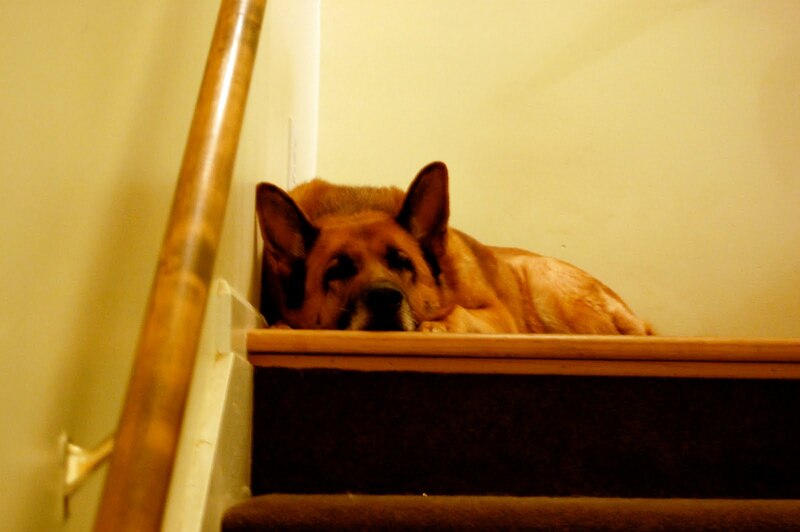 Chief our wonderful German Shepherd crossed over to the other side Saturday May 29th. A sudden and rapidly growing cancer was discovered in his abdomen. Chief was the last of our SAR dogs, preceded in death by Schatzie and Ajax. A gentle giant Chief who could enter a classroom, church, or just walk up to you and display an affection that surprised most people because of his size (and breed of course). He could speak on command or whenever he felt like talking, the only problem, he knew only one volume, wide open, probably a result of the SAR recall or refind where the search dog barks to let his handler know he has found someone. Chief had to retire early from SAR work because of a heat stroke in 1999. He always loved his people and his collection of stuffed animals. Strange he never ripped or chewed these toys, only carried them around the house and yard. Chief will be missed by many but joined by his old pack in the afterlife. Chief was 13. For nearly 15,000 years 1dogs have lived with and served humankind as companions, hunters, shepherds and most recently detectives. 2The average canine possesses hundreds of millions of receptors for odors, compared with a few million for humans. 3Their outstanding sensory endowment, olfaction, makes dogs sought after by law enforcement. And in the last century, the cultivation and harnessing of this ultrasensitive faculty has become a part of many facets of criminal investigation. Detection or sniffer dogs are used to ferret out illicit and dangerous substances, such as accelerants, explosives, illegal drugs, 4environmental hazards 5and other contraband. 6While these service dogs’ abilities are highly touted, the use of an animal’s olfactory sense in ascertaining the cause of a fire 7or locating drugs raises Fourth Amendment 8, evidentiary and due process issues. This article surveys select studies, standards and resources about canine scent detection evidence. The National Legal Aid and Defender Association maintains a collection of pleadings, expert testimony, research articles and opinions concerning the reliability of dog detection evidence. “The Florida Gulf Coast University Canine Database is a clearinghouse of published research on police and work dogs. This database publishes research, technical reports, and data collected in other canine-related projects.” See Articles by Topicand Research Links. This Hot Top section of the National Clearinghouse for Science, Technology & Law (NCSTL) contains a bibliography of materials from legal and forensic publication sources on dog scent evidence. “The United States Police Canine Association (USPCA) became the largest and oldest active organization of its kind-‘Ever Striving for the Betterment of all Police K-9’ – in August, 1971 when two existing Associations, the Police K-9 Association and the United States K-9 Association, merged.” See Canine Training Articles. “SWGDOG is a partnership of local, state, federal and international agencies including private vendors, law enforcement and first responders. We anticipate that establishing consensus based best practices for the use of detection teams will provide many benefits to local law enforcement and homeland security. Improving the consistency and performance of deployed teams and optimizing their combination with electronic detection devices will improve interdiction efforts as well as courtroom acceptance.” See Approved Guidelines; Documents for Public Comment; Appendices; and Bylaws. In this defender training piece, the following topics are addressed: I. Drug dog sniff is not a search under Illinois v. Caballes and North Carolina Law; II. Case Law Appears to Support a Requirement of a “Well trained” or “Properly Trained” Narcotic Dog for Probable Cause to be Found; III. Franks Hearing Regarding Drug Dog Alert; IV. What Do You Need to Ask for in Discovery to Attack the Dog’s Nose? ; V. Potential Areas and Ideas for Cross-Examination of Dog Handler. 1See Christine McGourty, Origin of Dogs Traced, BBC News (World Ed. ), Nov. 22, 2002. 2See, e.g., Andrea Todd, It’s a Police Dog’s Life, Sacramento Magazine, Oct. 2006. 4See Christy Bowles, What Can Drug Dogs Smell?, eHow, June 10, 2010. 5See Using Canines in Source Detection of Indoor Air Pollutants(EPA). 7See, e.g., T.R. Jonas & Ernest Bueker, Accelerant Detection Canines Uses and Misuses(1999); see generally Accelerant Detection Dogs(UC Davis, Veterinary Medicine). 8See generally Illinois v. Caballes, 543 U.S. 405 (2005) (“A dog sniff conducted during a concededly lawful traffic stop that reveals no information other than the location of a substance that no individual has any right to possess does not violate the Fourth Amendment.”); Use of Trained Dog to Detect Narcotics or Drugs as Unreasonable Search in Violation of Fourth Amendment, 150 A.L.R. Fed. 399; Use of Trained Dog to Detect Narcotics or Drugs as Unreasonable Search in Violation of State Constitutions, 117 A.L.R.5th 407. Copyright © 1996-2012 LLRX, LLC.